Below are some fabulous retro printed dresses that I've had my eye on! Click the picture to shop your favorite dress! Beautiful dress and shoes! You look so pretty! Amazing print dress :) I think print dresses are perfect for the all year! Your print dress is so cool! You look gorgeous :) as usual! Have a great weekend girl.. It's already cold where I live so I've been trying to transition my summer clothes to fall, if I added a cardi with this it would be perfect! Adorable dress! Definitely don't think you should have a fear of prints :) I've got a new post I would love for you to check out! Beautiful dress! And such a beautiful backdrop! Love it! You are workin those shoes! Love the retro printed dresses you choose, the one you're wearing looks great on you. I always feel so much better when I have a belt cinched at my waist! What a gorgeous dress! Happy Friday! I think that once we start getting older we start seeing the beauty of color. Love this dress. The print is so pretty!!!!!! 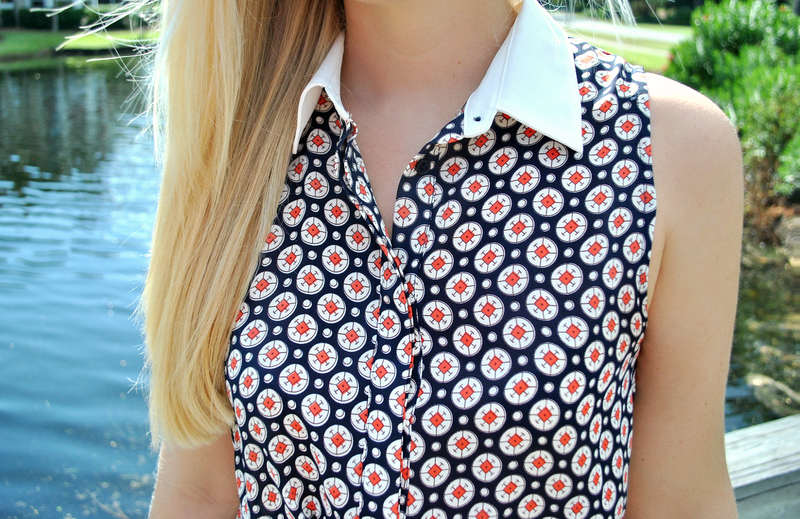 You look amazing in this print! (wouldn't even notice you are out of your comfort zone) The collar is such a cute touch the dress. I love the style and print of the dress. I like how you added a belt to break it up a bit as well, glad you LOVE color now! 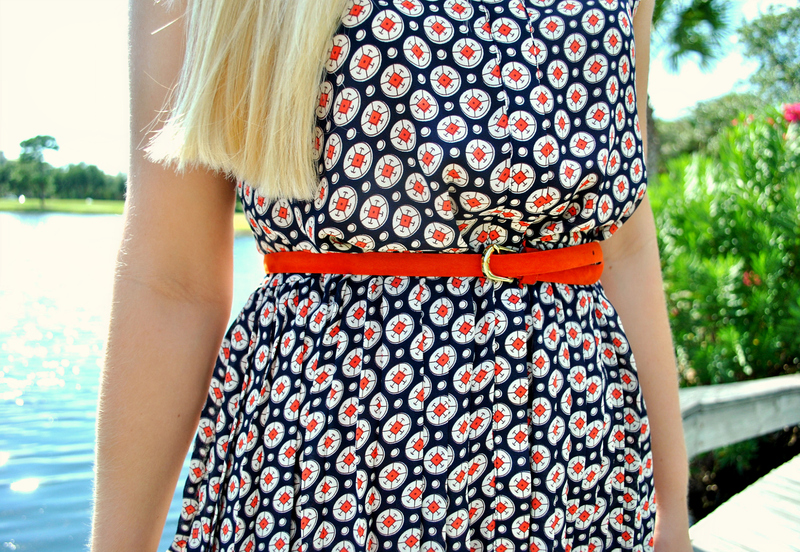 love the cut of this dress, prints look so good on you! lovely dress!!! so chic look!!!! Lovely dress! Love the print! I think you should style that cupcake dress. It's so adorable! I used to be the same way, I was afraid of color! Now I'll try out almost anything! Super cute dress! Love the print! I love this dress--it's so chic, comfortable, and perfect for early fall :) I definitely think the white collar detail elevates this dress and makes the print pop even more. Stunning as always! Pictures are gorgeous! The dress has a pretty print. You look great. Love the print, and dresses for fall are going to be the best! This dress is a perfect transitional piece! You look gorgeous as always! Your dress is amazing lovely print! And I love your accessories too! That dress is so pretty! I love patterned dresses. Such a cute dress! Absolutely adorable! Cute dress, but I have to say it "Roll Tide Roll"! Totally get what you mean about being afraid of prints! I love the printed jean trend, but am slowly and cautiously experimenting with it. Have my eye on a cute pair from Forever 21 than I am building up the courage to buy. That dress is just gorgeous! I really love the pattern!